Thorough, unbiased analysis of wildlife trade provides the information needed to ensure sound management of the species involved. Trade analysis also offers vital information for targeting and focusing enforcement activities. 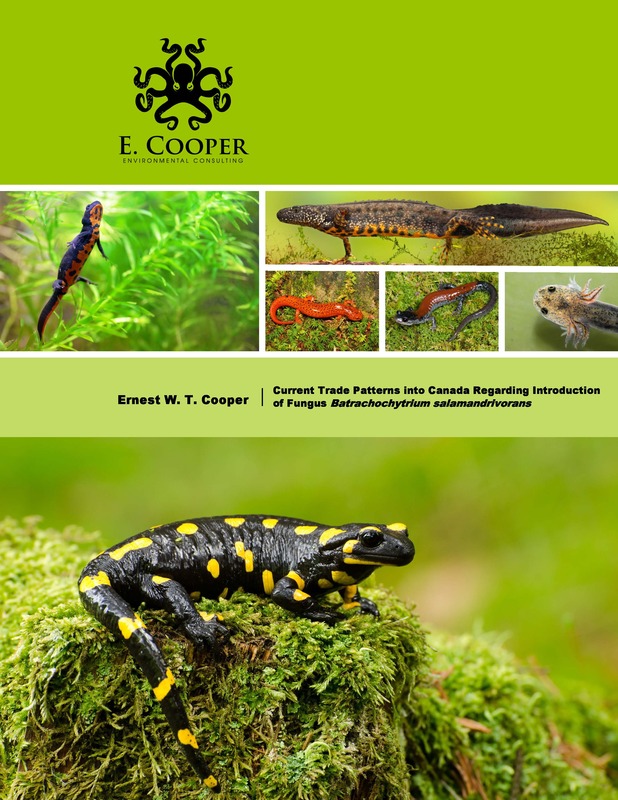 E. Cooper Environmental Consulting offers more than 29 years of experience in analysing national, regional and international trade of wild animals and plants. We take pride in producing well-researched and well-referenced evidence-based reports that support efforts to ensure sustainable use and conservation of wildlife. Cooper, E.W.T. (2016). 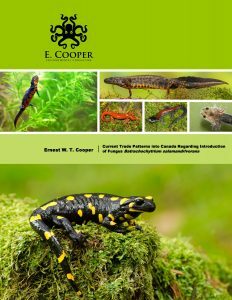 Current Trade Patterns into Canada Regarding Introduction of Fungus Batrachochytrium salamandrivorans. Environment and Climate Change Canada, Ottawa, Canada. 118 pp. 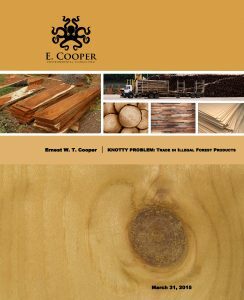 Cooper, E.W.T. (2015). 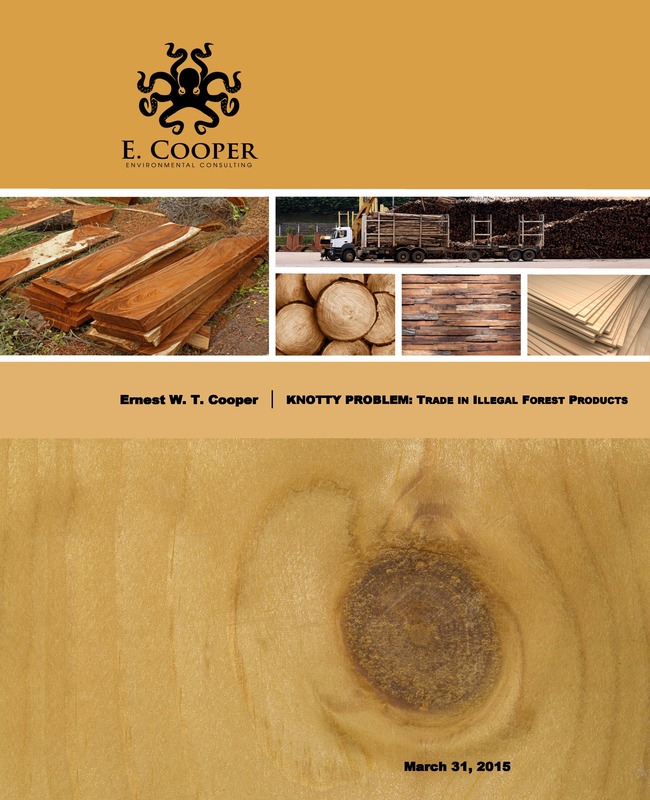 Knotty Problem: Trade in Illegal Forest Products. Canadian Forest Service, Ottawa, Canada. 94 pp. Cooper, E.W.T. (2015). 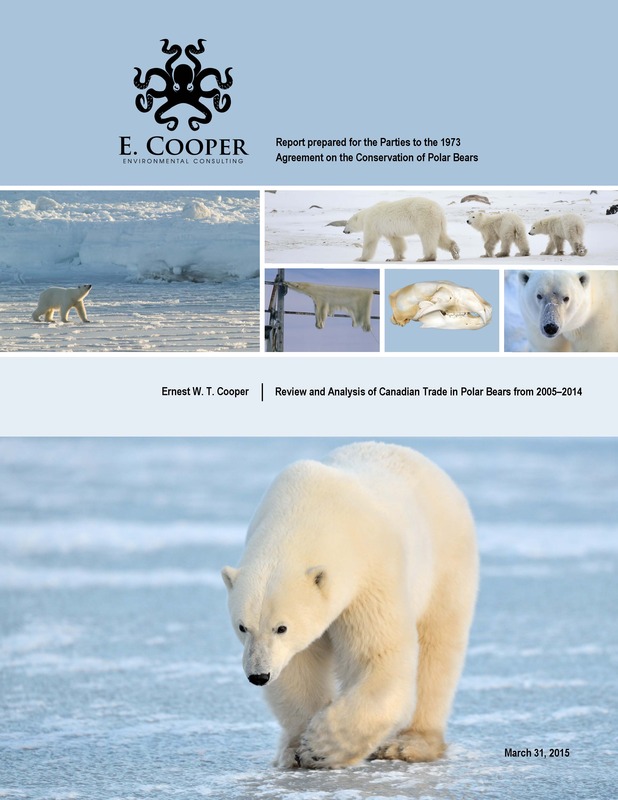 Review and Analysis of Canadian Trade in Polar Bears from 2005–2014. Environment Canada, Ottawa, Canada. 64 pp.